The 2020 flagbearer aspirant for the opposition National Democratic Congress Alban Kingsford Sumani Bagbin has apologised for his “indiscretion” after his comments on disabled persons appointed to certain roles in government attracted a backlash. At a press conference he organised, the Second Deputy Speaker of Parliament said his comments should not have been made in public but was rather a private matter to be discussed within NDC circles. But beyond this, he refused to accept his comments was an attack on persons with disabilities as portrayed on social and mainstream media. The NDC MP who wants to lead his party in the 2020 elections made the following comments during a tour of the Volta region to canvass support. “Traditionally, if you are not a whole person can you be a chief? Can you be a queenmother? So if you are going to appoint the minister of chieftaincy and you appoint a very bright lawyer who unfortunately is blind what are you telling the chiefs? The chiefs rejected it, and they spoke, we refused to change him. Do you expect them to vote for you? He was condemned by persons which included no less than the founder of the party and former president Jerry John Rawlings. At his press conference, the Member of Parliament for Nadowli-Kaleo admitted his comments amounted to an indiscretion. He accepted “full responsibility” and explained they were private NDC matters which should not have gone public. He, however, dismissed criticisms that he questioned the competence of disabled persons in holding public office. “Never, I did not say that,” he insisted. 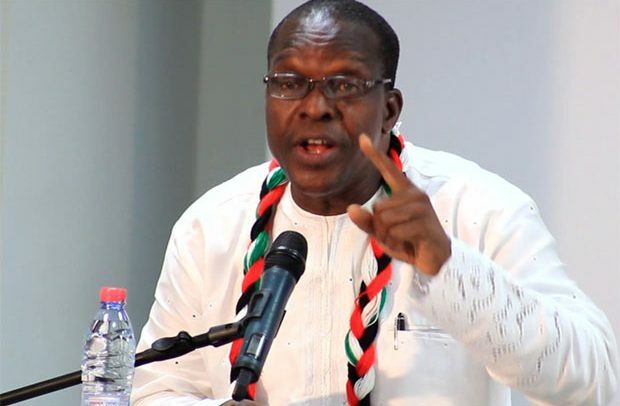 Alban Bagbin said he questioned the “wisdom” of the appointments made by former President John Mahama. “They were assigned inappropriate ministries. I never questioned the competence of the appointees… to the contrary I praised them”. “I only questioned the wisdom in placing the three of them in the designated ministries”.